With this great new book you can begin to unravel the fascinating mysteries of the telephone booth. It will answer such questions as: What's its story? Who designed it? What came before it? - and so much more. This superbly illustrated book is a concise history of the most ubiquitous of all street furniture and will also serve as a valuable "spotter's guide". 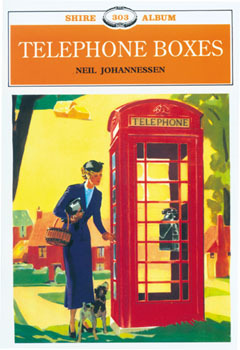 It also includes a listing of sites to visit, information on phone booth preservation, a section on police and emergency booths, and much more.Telephone boxes will serve as an important identification tool and guide for those with an interest in telephone booths, and a fascinating slice of history for the casual observer.